The first step in getting anything used in the classroom is to train the teacher. 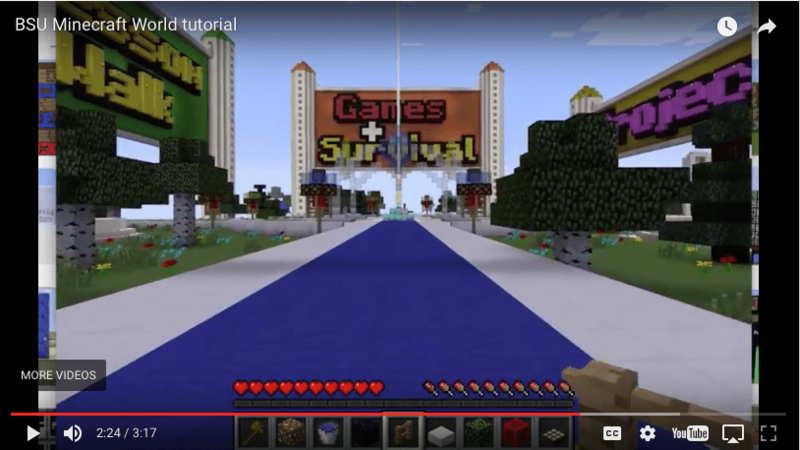 So when it comes to using Minecraft in the classroom there is a really steep learning curve. I say it’s steep partially in jest, because it’s playing a game. It shouldn’t be that difficult, but it sure was for me. I started by loading up Minecraft and moving around. 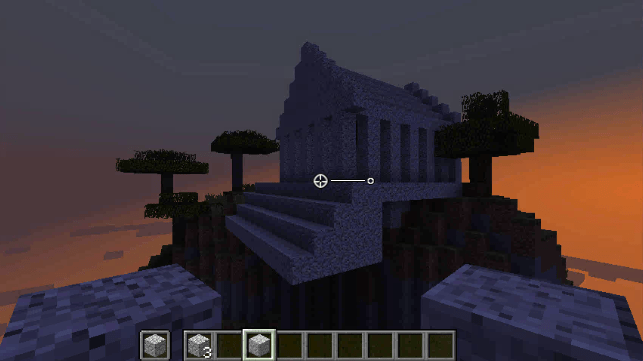 My goal was to build the Acropolis and as this is a first challenge kind of thing, I thought it should be easy. I searched out a place to build and saw a clearing across the water. I decided to swim across the water but I sank. Then half way through the water I died. I started again and it got dark half way through the water. I lost my way and died again. I finally got to a good flat place to build and started to mine rock to build my building. It turned dark again and zombies came out and killed me. So not a very good start. I then found out that I needed to be in Creative mode so I wouldn’t die and so I would also have infinite resources. This was much better and I was able to build my Acropolis. Here it is. It’s getting dark in the world, but I didn’t want to wait until sunup to take the shot. I then had a meeting with my Boise State Teaching and Learning in Virtual Worlds class online in Minecraft. It’s pretty cool that my university has a Minecraft world.